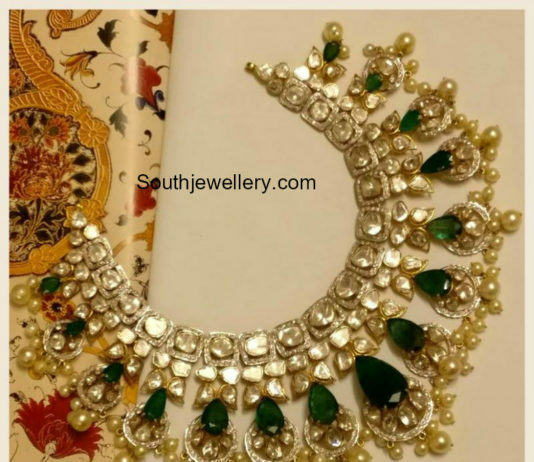 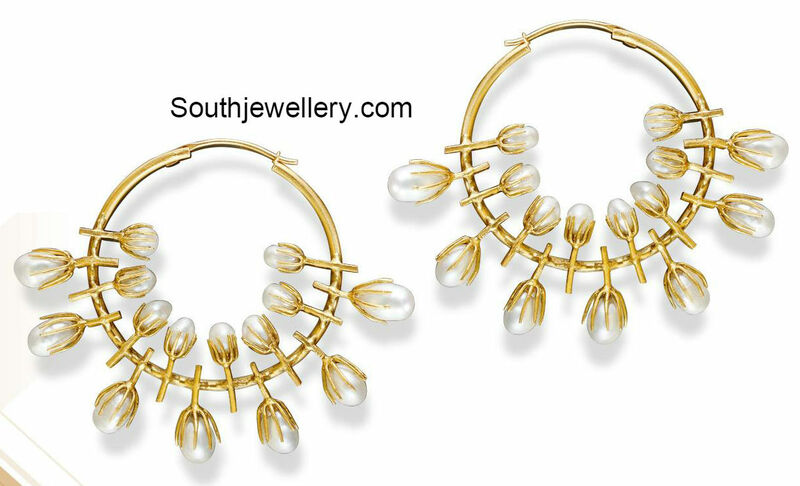 22 carat gold beautiful kundan necklace and earrings adorned with carved emeralds and south sea pearls from Vasundhara Fine Jewellery. 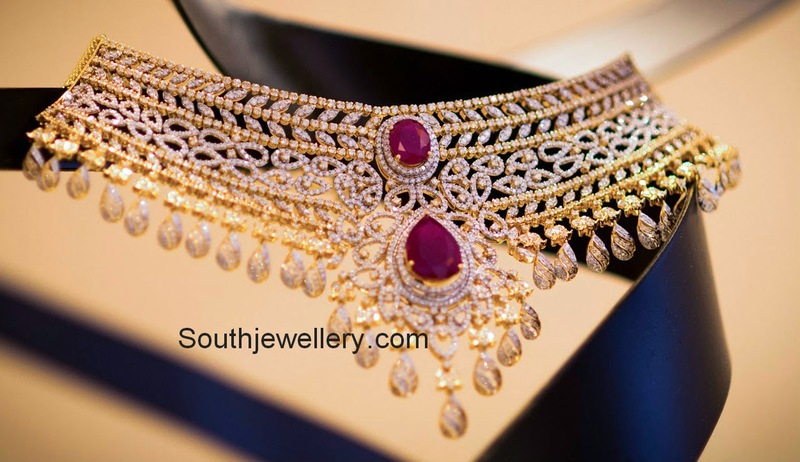 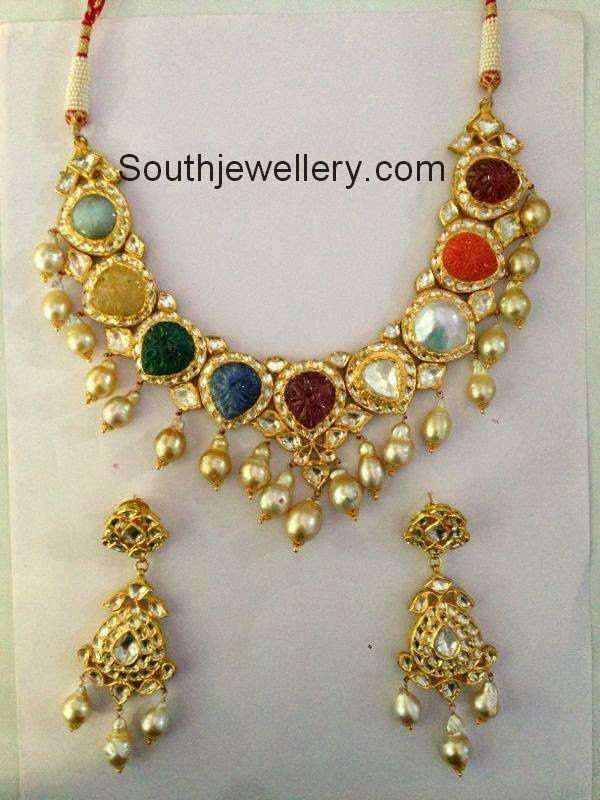 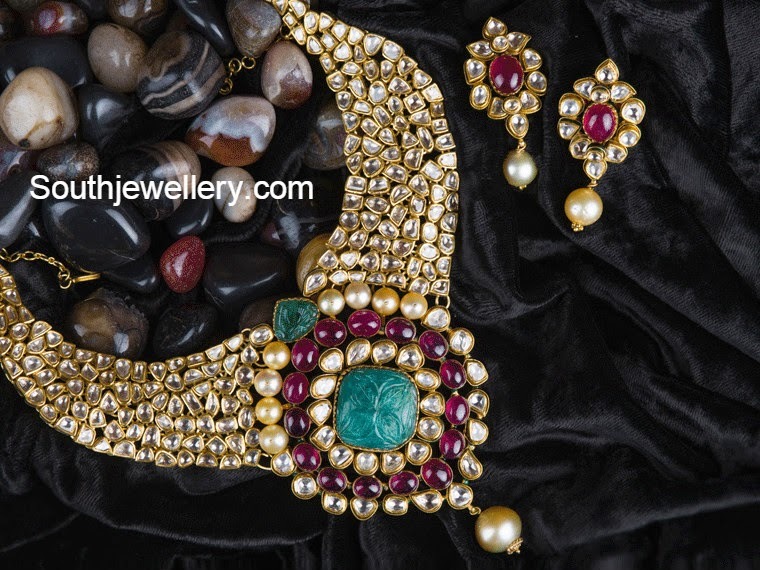 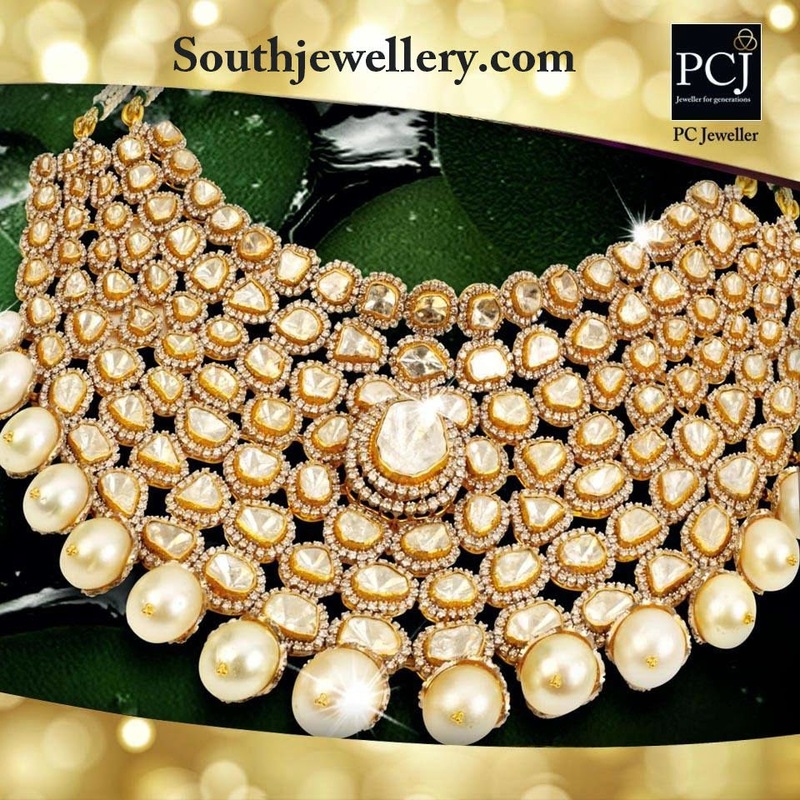 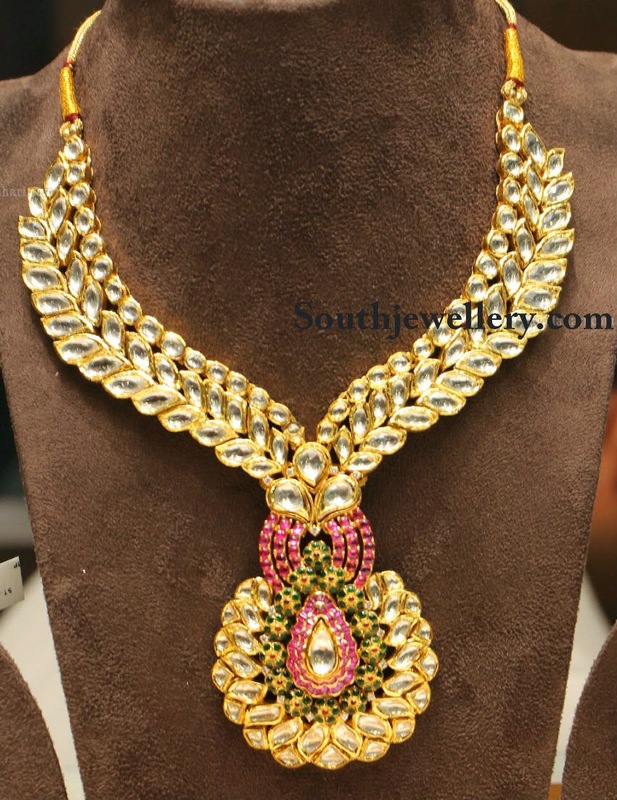 Charming jadau polki necklace set studded with carved navratna gemstones, polki diamonds and south sea pearl drops. 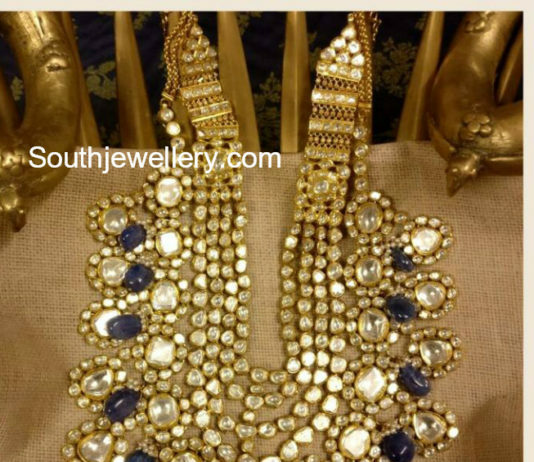 Actress Sonam Kapoor in antique kundan jadau necklace studded with uneven sized kundans.